Hi, just thought i'd add some pics of my 3.0s capri, i know the capri's a love it or hate it affair but for those of you who love it, enjoy! sorry its not a modern engine fitted but the cars to clean to chop about and the old essex stacks up quite well with 215bhp@6300 and 206ft lb@3400, 0-60 6.75sec and my best quarter time 14.79. Love it mate! Looks really nice. Those wheels in the first few pics (black centres/polished rims) are they Revo RFX`s? yes they are 8x15 RFX's which are on the car now as i sold the superlites to a friend for his chevy v8 capri. Always like those in deep dish. Not had much luck in tracking down somewhere that does them something like 8x15 would suit my rwd rs1600i better than escos rims I think. Simular power output to alot of converted BOA 24V's, but your max torque is alot lower down the rev range I bet it pulls REAL well!!!!!!!! WOW! sounds abit of a mission can't believe the price of ss exhausts now, mines a powerflow made on the car and it cost me about £340 or there abouts about 4yrs ago now the same company want 650 to make one, OUCH!!! ahh but your running twin exhausts - only one for me (single turbo). Anyway, a Janspeed twin system is only £400 if you shop around...but I'm going to use a 2.5" single system for about 250 quid. The shell is 95% bare metal with just a film of grease on it and i have the ferrozinc, 2k etch, primer and colour sitting here....a neighbour is a spayer and is going to do it for me for cheap so its not so bad - just getting the the last of it stripped tommorow then I'll get him on the case I have our spare bedroom and me mums garage full of lovely stuff ive been collecting for 3 years to go on...so, about 500 quid and another 4 weeks of solid graft should do it. 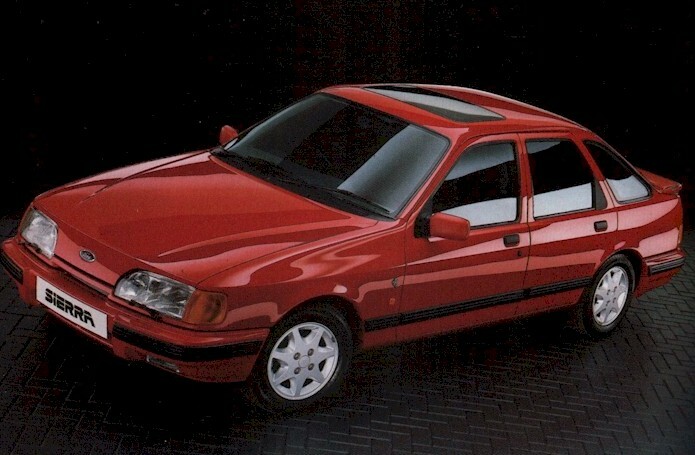 I see you have a mk1 sierra, i have a 1984 xr4i as well glad to see you're starting young that'll give you more time to own more classic fords!